Hearing the powerful, rich and cavernous voice of contralto Gwendolyn Brown warning the foolhardy Wotan is an experience one is unlikely to forget. Receiving critical acclaim for her interpretations across the spectrum of music genres, Brown is surely a force to be reckoned with. Her aggressive chest register is as terrifying as it is wonderful, while the warmth in the middle register is perfect for Mahler's Urlicht. Brown is definitely a contralto to watch. Contralto Gwendolyn Brown’s operatic performances of traditional, 20th century, and even the avant guard has earned her consistent critical acclaim. Recently, Ms. Brown’s “imposing” performance of Azalia in the William Grant-Still opera “Troubled Island” presented by the South Shore Opera Company earned her high critical acclaim as being “wholly at home in Still’s embrace of European, American and spiritual composition traditions” (Andrew Patner, Chicago Sun Times) She has the distinction of being the first African-American contralto to perform the role, and the South Shore Opera Company bears the distinction of doing the performance as originally intended with a Black cast since the opera’s premier in 1949. 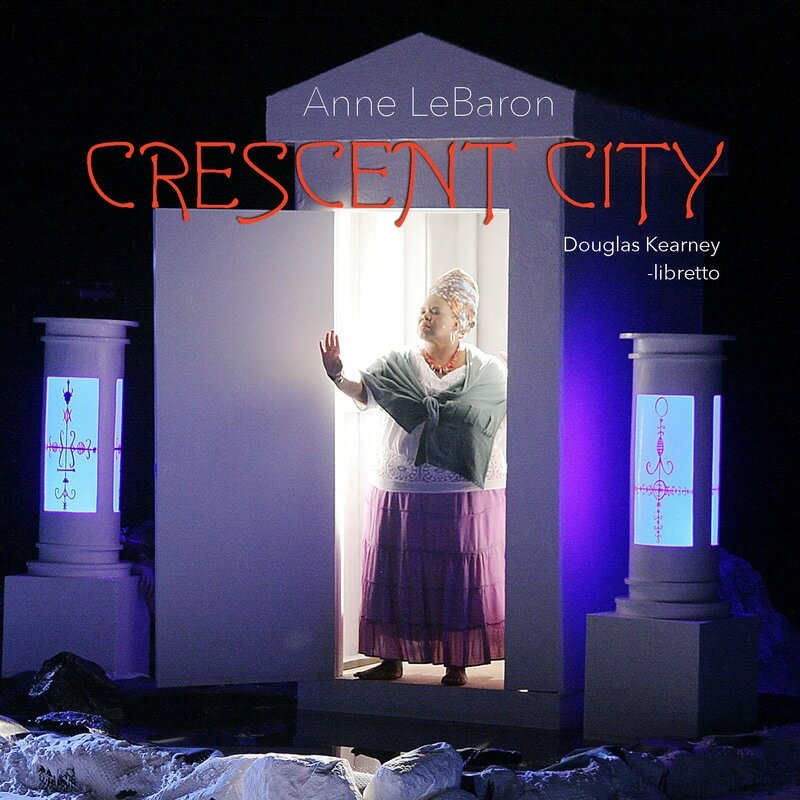 In the Spring of 2012, Ms. Brown’s performances of the lead role Marie Laveau in the newly written opera “Crescent City”by Anne LaBaron for Los Angeles’ new opera company The Industry (Yuval Sharon, Artistic Director) hailed her “deep contralto” and performance as “a transfixing force of nature” (Mark Swed, LA Times). Brown played LaVeau, “with a rich, beautiful tone that galvanized attention throughout” (Out West Arts). Critical acclaim of Ms. Brown’s signature role of Maria in “Gershwin’s Porgy and Bess” has made her one of the most sought after and renowned artists to perform the role. Her recent performances with the Seattle Opera and Boston Symphony (both during the regular season and at Tanglewood) as well as performances with Washington National Opera, New Orleans Opera, and abroad in Germany, Amsterdam, and Burssels were given high praise. Ms. Brown"was a Maria with an ample voice to match her vivid personality" (Tim Smith, Opera News). Ms. Brown “performed the Earth Mother role of Maria with dramatic power and vocal depth.” (Willard Spiegelman, Opera News). "As Maria, the town busybody, Gwendolyn Brown steals the show – a no-nonsense mama whose flips from rich alto to deep Southern back talk have both stage and audience in thrall." (Rosemary Ponnekanti, Tacoma News Tribune). Other recent operatic appearances include covering Queenie in Show Boat with both Lyric Opera of Chicago and Washington National Opera in 2013, where she went on for two performances. A burgeoning Wagnerian, Ms. Brown’s repertoire includes Fricka in Das Rheingold, which she performed at Des Moines Metro Opera, the First Norn and Waltraute in Götterdämmerung, and Erda in Das Rheingold and Siegfried. She has also performed the roles of Baba in Menotti’s The Medium, Kabanicha in Janáček’s Katya Kabanova and Filippyevna in Tchaikovsky’s Eugene Onegin. Ms. Brown has also received critical acclaim for her work in concert and symphonic works. "Her dusky voice inhabited the music so completely, we were spellbound" (The Oregonian). Ms. Brown’s "stirring, solo voice can rise above the crowd and harness audience attention” (Andrew Beck, Hartford Arts Examiner). As one critic states, her singing is simply "Stunning" (Andrew Patner, Chicago Sun Times). Ms. Brown’s 2014-2015 season include the premier of a new work by Ethan Gans-Morse entitledThe Canticle of the Black Madonna (Anima Mundi Production - Portland, Oregon); performances of Gershwin’s Porgy and Bess for Syracuse Opera and the Lyric Opera of Chicago; Concert version of Gershwin’s Porgy and Bess for the Toronto Symphony Orchestra; and Beethoven’s 9th Symphony for Madison Symphony Orchestra.